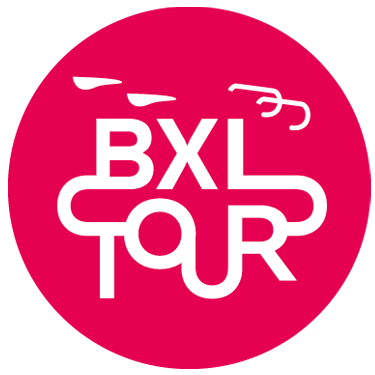 The BXL TOUR 2019 will take place on Sunday June 16 and will be composed of two categories: MASTER and CYCLO. The participants in the BXL TOUR in the MASTER category with a valid license (see point 2.1.) will participate in the competition “Belgian Amateur & Masters Championship” competition. Registration will be definitive after payment of the registration fee. Participating requires good health. The organisers recommend a preventive medical examination by a qualified sports doctor. The organisers cannot be held responsible for any health problems of the participant which may occur during or after the BXL TOUR 2019. • Riders who present a medical certificate issued after 17/06/2018 (from 18 years of age up in the year they turn 18). These participants will be not ranked at the Belgian Championship. (*) The membership card with the license number and category must be attached to the registration and presented on the day of the race. Anyone aged at least 14 years old and able to guarantee an average speed of at least 16 km/h will be allowed to participate in the BXL TOUR in the Cyclo category. Allocation to a category will be based on gender and year of birth (e. g. a man born in 1969 will be included in the category “men >= 50 years of age”). Each participant in the BXL TOUR in the Master category must wear 2 numbered bibs (one on the left and one on the right on the back of the jersey). They do not have handlebar numbers. Each participant in the BXL TOUR in the Cyclo category must clearly display their frame number at the front of the bike (in front of the handlebars). The organisers are not responsible for any damage, loss and/or theft of a participant’s personal property before, during or after the event. Such personal property shall remain the sole responsibility of the participants to whom it belongs. BXL TOUR participants in the Cyclo category who have exceeded the maximum time limit after 24 km will have their race reduced by 8 km, bringing the total distance of their race to 32 km instead of the 40 km initially planned. The organisers reserve the right to modify the route. The participant undertakes to comply with the recommendations made by the organisers. They are reminded that the traffic regulations apply at all times, throughout the route. The wearing of a bicycle helmet is mandatory for all riders from the start line to the finish line of the BXL TOUR. By registering for the BXL TOUR, the participant agrees that his or her personal data collected as part of the registration may be processed by the organiser for the purpose of sending him or her information and newsletters relating to actions related to the 2019 Grand Départ du Tour de France and sporting events organised by the non-profit organisation Brussels Major Events. To this end, the above-mentioned data will be kept for 5 years, it being understood that the data subject has the right to request access, rectification or deletion of personal data, the right to request a restriction of processing or the right to object to it, as well as the right to withdraw their consent via an unsubscription form contained in the emails sent. For any questions relating to the exercise of these rights, the participant may contact the non-profit organisation Brussels Major Events via the email address info@bxltour.be. Participants in the event also expressly agree to be photographed and/or filmed on the occasion of the event, as well as the possible use by the organiser, without compensation, of their image on the website and the Facebook page of the events organized by the organiser or as part of the event relations, as well as for the presentation and promotion of the event, and this on any medium whatsoever (paper, film, video, etc.). Hand bikes are authorised in the Cyclo categoryfor persons with reduced mobility. Electric bikes, tandems, tricycles, uncicycles, child seats and trailers are forbidden. If the event is cancelled for a reason beyond the control of the organisers, the latter may not be held liable for this and no compensation may be claimed on this score. The registration fees will not be refunded in the event of cancellation. Non-participation for any reason will in no event give rise to a refund. It is strictly forbidden for a participant to transfer their registration to a third party.